A great solution to navigate over low running pipes, electrical conduits or other permanent objects. 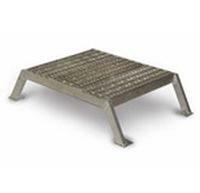 Strong all welded construction made of heavy gauge rectangular tubing. 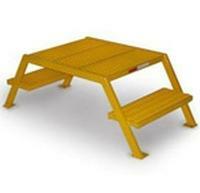 Steps and platforms are made of durable grip strut. 500 lbs weight capacity. 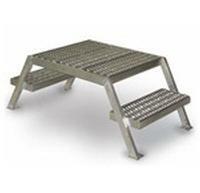 Two step models have a 60 degree incline angle. 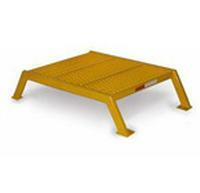 Choose from yellow enamel finshed steel or light weight aluminum models.